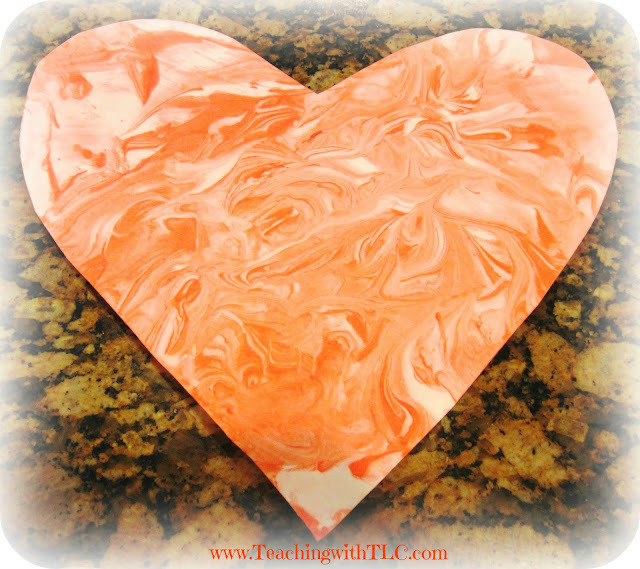 Here's a Valentines art project kids of all ages will LOVE! My eleven-year-old is CrAzY about shaving cream art, as well as my two-year-old in the photos. Hey, I even think it is totally cool! First, cut out a heart from cardstock. You can also use poster board or construction paper. Spread shaving cream about an inch thick all over a pan or tray. Next, squirt some red acrylic paint, poster paint, or food coloring onto the shaving cream. 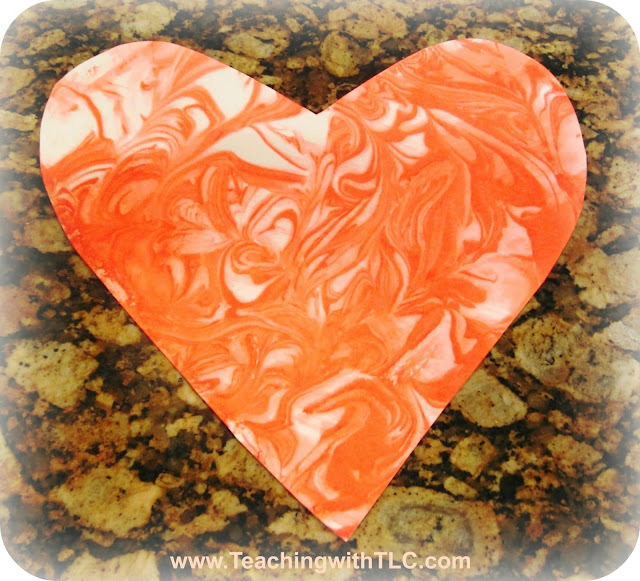 Use a spoon, popsicle stick, or toothpick to swirl (but not too much) to create a marbled effect. Gently press a paper heart into the shaving cream, and let it sit for 10 seconds. 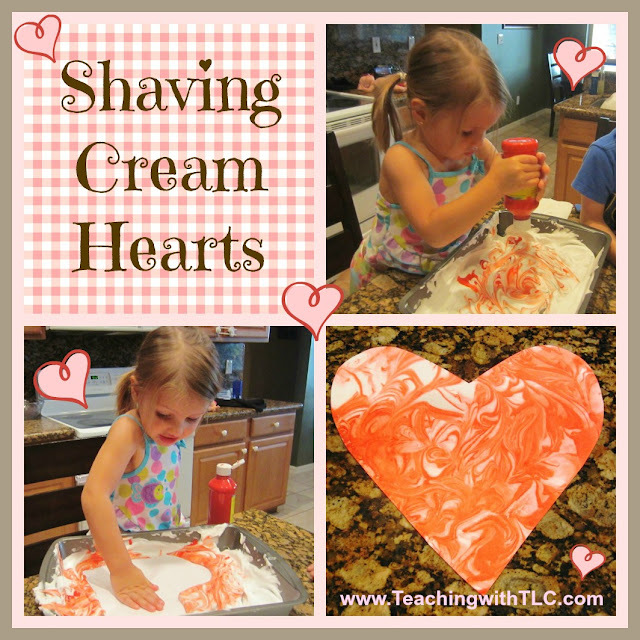 Using a squeegee, carefully scrape the shaving cream off of the paper heart. Look at the awesome marbled effect it left behind! Notice how each heart looks completely different. That is my favorite part. If you have read my blog for awhile, you already know that my kids are shaving cream fanatics ever since we made these shaving cream eggs for Easter. We made shaving cream earths for Earth Day. 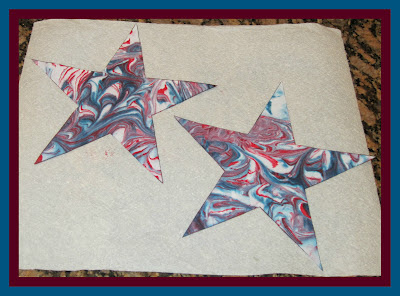 We made shaving cream stars for the Fourth of July. We made shaving cream leaves for fall. I must forewarn you that shaving cream art is very messy but so worth it. The end products still amaze my kids every time. Hoping your kids ♥ shaving cream art as much as mine! For more FUN Valentine's Day ideas, click on the image below and then keep scrolling down for all my previous posts. Enjoy!